It's that time of year again. Baseball players and spectators alike will be heading to fields all over the country for months ahead. With many a game lingering long after the sun sets, ensuring your fields are ready should be top priority. Spectator safety, entertainment value, and of course player visual acuity are just a few important factors where lighting is concerned. But lighting those fields is no small task. 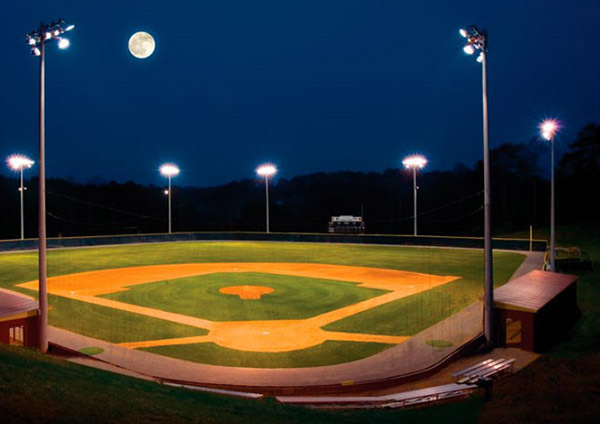 If your fields aren't already lit with LED technology, now is a great time to consider the switch. With Safeco Field forging ahead as the first field in the Major Leagues to outfit their fields with LED lighting in January of 2015, many are looking ahead to determine the benefits of the switch. The owners cited many reasons for going with LED lighting upgrades, namely: aesthetics, performance, and saving money while going green. The lighting aesthetics for the viewers in the stadium and on TV were one plug - LEDs look more like daylight. The broader light spectrum may have a positive impact on players performance, energy, and mood as research has shown. LEDs also last much longer and therefore reduce waste. It also doesn't hurt that the Mariners will be cutting costs 60% by making the switch. Even the many non MLB fields can take advantage of these LED advantages as the cost savings over the long haul is tremendous. If you need more information about lighting your fields (or anywhere else) with LEDs this year, don't hesitate to contact us. We've got the equipment and expertise to ensure you are ready for the season.